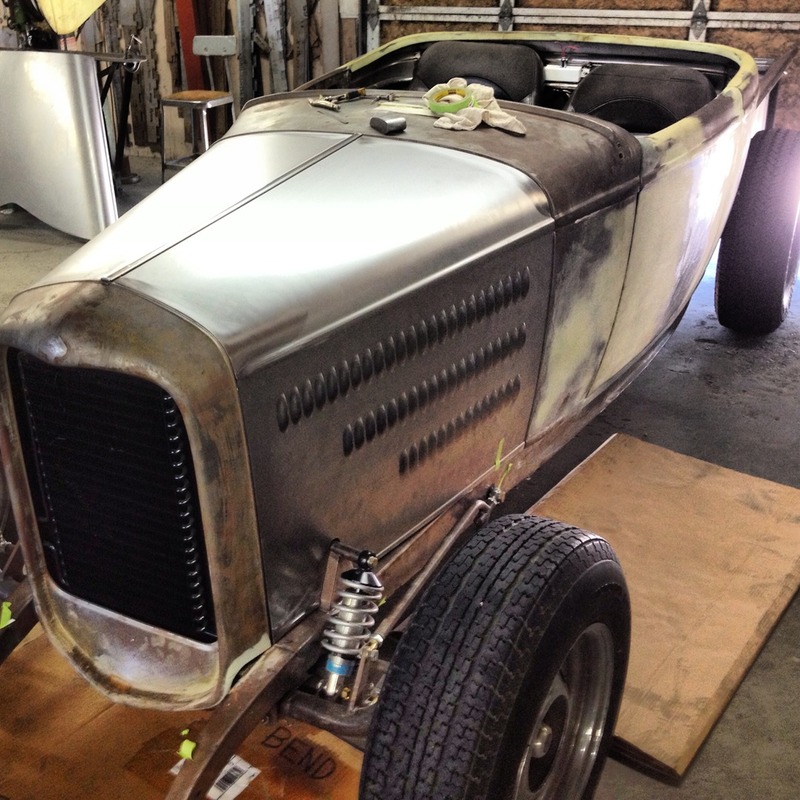 Rootlieb, Inc. creates Vintage Auto Sheet Metal. 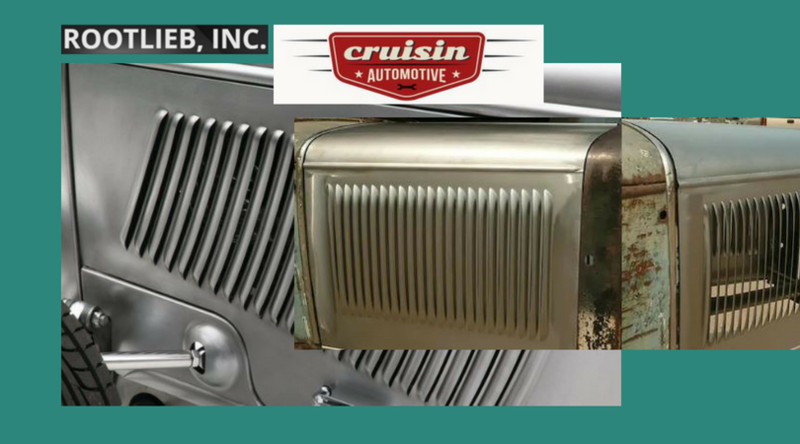 Their attention to quality and detail has made them one of the largest manufactures of vintage sheet metal in the world. The stock hoods are made exactly as the originals with the same gauge metal. All hoods are fit to a cowl and radiator shell to assure an accurate contour. Hot rod styles with various louver patterns are available in the same high quality. Both the 20 and 25 louver hoods are available. Quality 1933 hoods using the same gauge metal as the originals. 1934 handles can be installed upon request. Mopar also available. A wide variety of Ford pickups complete with hardware. Sides are built to fit stock hood tops. Four piece hoods are only available with a 1932 center hinge. Order two front style hold down clips for mounting.